Do you have your own website and want to earn some extra revenue? You can become an affiliate with AirportParkingMarket.com and add a revenue stream to your website. 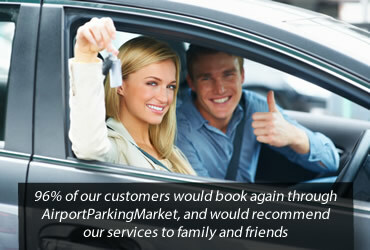 AirportParkingMarket.com are the UK market leader, specialising in airport parking. You'll receive the best prices, great products availability and the best customer experience. Provide your visitors with discounts and help incentivise your sales. We are committed to providing the big discounts on all airport parking. Competitive discounts that are updated regularly. 10% Starting Commission on all Airport Parking. High commission on all our airport parking products. Recommended for affiliates with a large following and authority. Commission will increase on specific products.